Just in time for Christmas, Honda has brought back their famous Bonus Bucks on all off road (dirt bike) mototrycles. 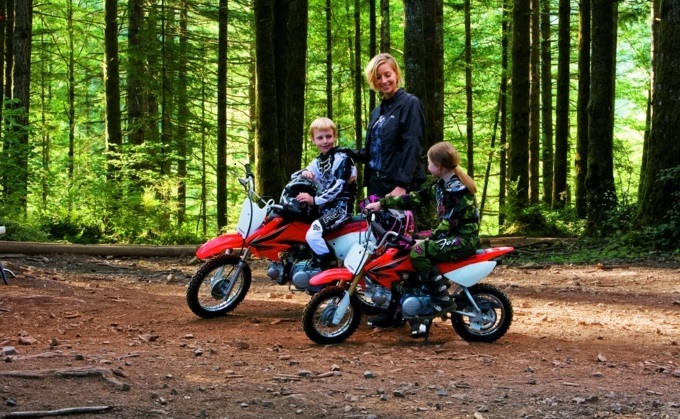 Whether its the CRF50, CRF70 or CRF80 whch are meant for the young riders, the CRF100 or CRF150 for the older kids or the CRF230 which is for the adult rider, they have Bonus Bucks ranging from $100 to $300. The Bonus Bucks can be used for riding gear, exhaust systems, helmets, golves or anything else in the store. They can also be used to extend the factory warranty or as a down payment toewards the price of the motorcycle. The Bonus Bucks are good thru December 31, 2011. Contra Costa Powersports stocks the comnplete line of Honda off road motorcyles and dirt bikes. This entry was posted in New Honda Motorcycles, Uncategorized on December 11, 2011 by Dave.